The small print says “Math performed by actual rocket scientist”; let’s see how the rocket scientist actually did this calculation. 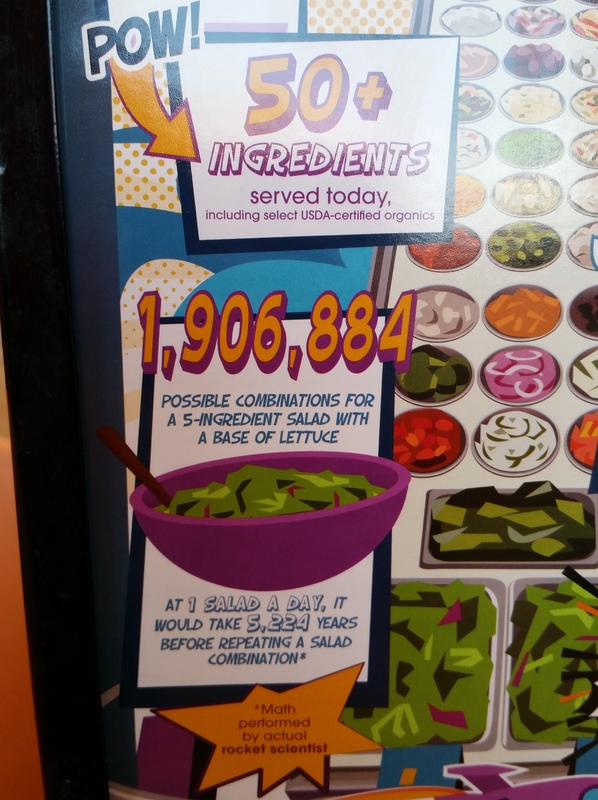 Over a span of 5,220 years, there might be 3 or 4 extra leap days in the above calculation (depending on when someone starts eating the salads), not enough to throw off the above calculation by too much. So the correct answer, rounded to the nearest integer, really should have been 5,221 years. All this to say, ignoring leap years caused the rocket scientist to give an answer that was off by 3.